With its high stalk of inclined yellow flowers, it does not go unnoticed. 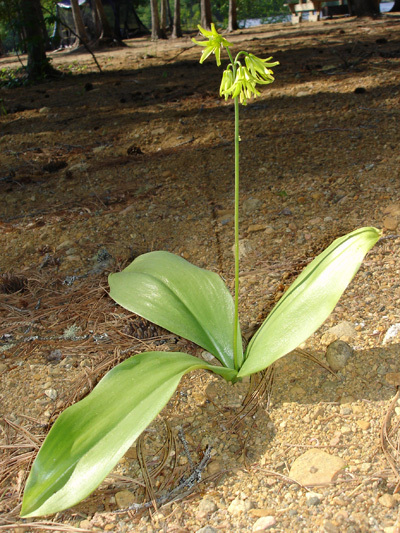 Although the Yellow Clintonia bloom profusely, the fruits are rare. Mature fruits are dark blue, but sometimes white.